Carrie Vaughn has captured legions of fans with her wildly popular Kitty Norville novels. Now she uses her extraordinary wit and imagination to tell a sensational new story about superhuman heroes--and the people who have to live with them. Rejecting her famous family and its legacy, Celia has worked hard to create a life for herself beyond the shadow of their capes, becoming a skilled forensic accountant. 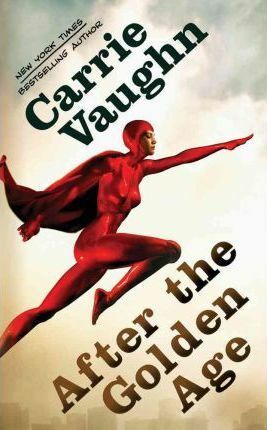 But when her parents' archenemy, the Destructor, faces justice in the "Trial of the Century," Celia finds herself sucked back into the more-than-mortal world of Captain Olympus--and forced to confront a secret that she hoped would stay buried forever. Carrie Vaughn is the New York Times bestselling author of the Kitty Norville books, including Kitty's Big Trouble, Kitty Goes to War, and Kitty and the Midnight Hour. She is also the author of the stand-alone novel Discord's Apple, and the young adult books Voice of Dragons and Steel. Vaughn had the nomadic childhood of the typical Air Force brat, with stops across the country from California to Florida. She earned her B.A. from Occidental College in Los Angeles, and a master's in English from the University of Colorado at Boulder. She has worked as a Renaissance Festival counter wench, a theater usher, an editor, a buyer at an independent bookstore, and an administrative assistant. She lives in Boulder, Colorado.